June is audiobook month but every month feels like audiobook month for me because I listen to so many ! 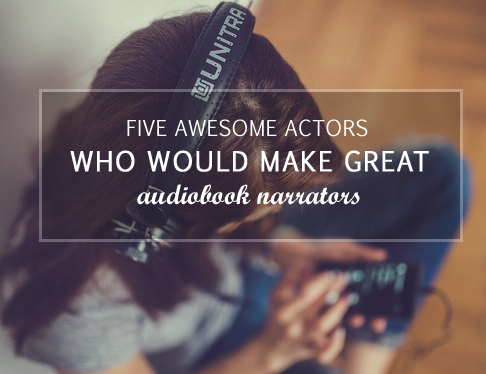 When I choose audiobooks I tend to look for awesome narrators. I find ones I like and go back to them again and again. So, every now and then I'll be watching TV or a movie and thinking... this person should totally lend their talents to audiobooks. I was exploring Scribd in all its audiobook glory because I've really been in the mood for action adventure YA. When I heard Lincoln Hoppe's performance it instantly grabbed my ear, he has this great laid back teen voice and I jut wanted to hear more. 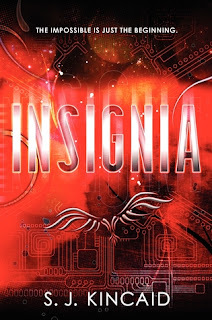 I knew nothing about Insignia going in and it took me a while to center myself. The book takes place in a future much like today, except virtual reality is common place for things like gaming and schooling. There is also a war brewing that is fought in the final frontier. . . space, with mechanized drones controlled on earth by teen combatants who train for the war in the Pentagonal Spire. Okay, so maybe it's not a future much like today. I guess a way to pitch this is how side character Eliot Ramierz, the enigmatic public face of the teen combatants puts it, "I'm just a kid who likes to play with robots." I haven't read Ender's Game but I'm going to guess this book is in a similar vein. Now I wanted to think this book was about kids being good a video games participating in a war (and the reason only kids can do this was kind of a necessary evil) but it's not. It focuses more on the training and schooling side. Enter Tom Raines, a self conscious teenaged boy living motel to motel with his gambling father. More than anything he wants to be somebody. As you do. His chance comes when he is chosen to train at the Pentagonal Spire to (one day) become a combatant. This book is like futuristic space-fighting Harry Potter. Like I was really thinking this the more I read. Down to him having a smart female friend who gets him out of trouble. I mean at the end of the book they go home for break. I also picked up on a lot of spoon feeding in this book. 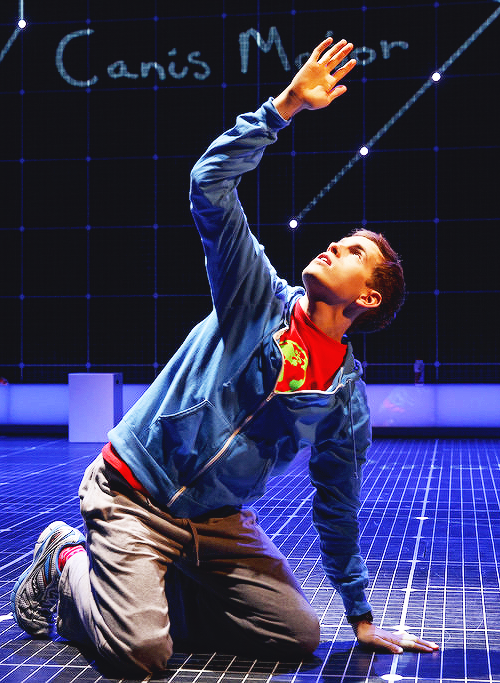 It was like every classroom scene was nothing but exposition about the world. Even though Tom comes in the middle of the school year, every class explains some integral part of the world. The more I got into this book the more it started to come apart. The teens in The Spire are implanted with neural processors so they can do the space-fighting and this is not public knowledge. But it's also explained that not all the kids will become combatants and some will take other government jobs. But why ? Why bring in a bunch of kids and implant things in their brains, if there is no guarantee they will fight ? It seems like waste of time. Despite all of the nitpicking, I found this book to be enjoyable. Yes, there were times when I was frustrated with the choices the characters made but that's because they are 14-years-old. Towards the end I started to get what Kincaid was doing here. 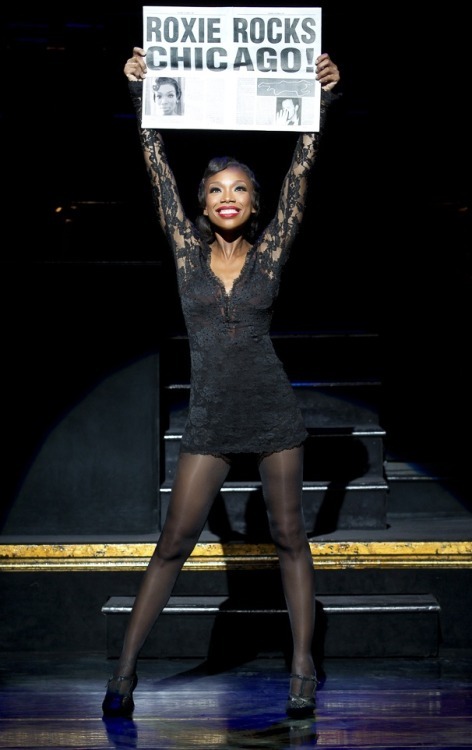 She sets up a theme about looks and trust that really comes together in the end. Lincoln Hoppe does a great devil-may-care voice and he has quite a handle on the Russian, Chinese and Indian accents in the novel. You may have heard his German accent on Volkswagen commercials. I'm trying to fill the Sci-Fi and Fantasy gap in my reading and this book was a nice push-off point for me. It had some science tech-y stuff but it wasn't too over the top. I'd suggest this to a younger YA reader who enjoys the boarding school format but wants a little action. In a few days Random House will be publishing Grey, Fifty Shades of Grey from Christian Grey’s point of view. Maybe it’s a money grab, maybe it's fan service either way giving the narrative power over to the male love interest to re-tell the romance isn't anything new...especially in YA and romance genre. The first and probably most well known in the bookternet is Midnight Sun,which was Twilight from Edward Cullen's perspective. 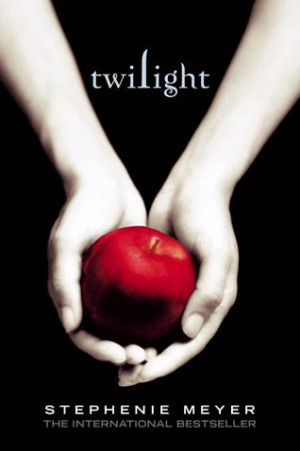 The manuscript was leaked online causing Meyer to shut it down much to her fans...chagrin (Twilight jokes). Now you can read it on her website here. 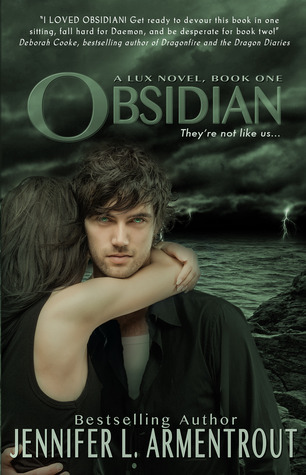 YA / romance author Jennifer Armentrout has been writing POV swapped scenes for her fans for years, but a couple months ago she announced Oblivion--the Obsidian novel from her hot alien hero Dameon's POV. 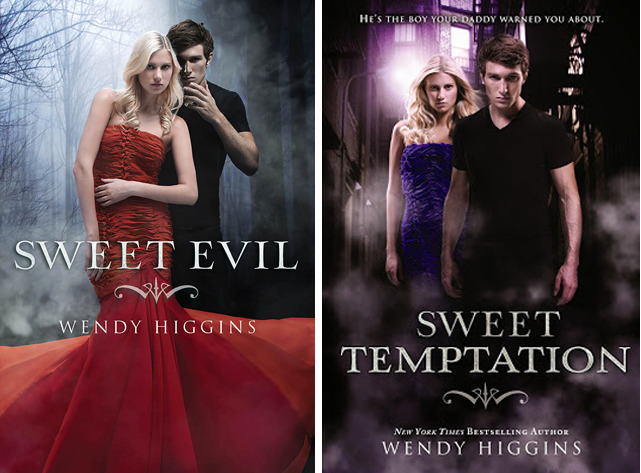 In 2014, Wendy Higgins' YA paperback series hit the New York Times Bestsellers list for YA series. Soon after she announced she'd be writing the first book from Kaiden, the male protagonists POV. #iSighforKai. Jamie McGuire's popular New Adult is about the romance between underground fighter Travis Maddox and college student Abigail. After writing a few companion stories McGuire came back to rewrite the first book from Travis' point of view. Also...I may or may not have a signed copy of this. This novel flips the script and the new book gives the narrative over to the female love interest. 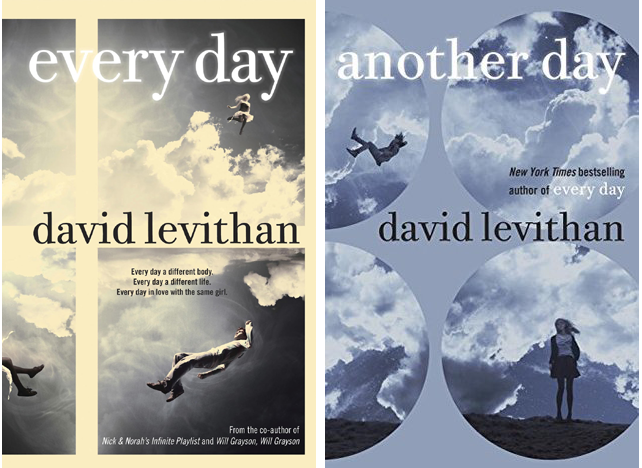 Everyday tells the story of a genderless soul who wakes up in a new body everyday and one day starts to fall in love with a girl named Rhiannon. 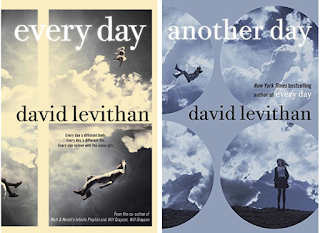 In his 2015 follow up, Levithan is telling us the same story from Rhiannon's perspective. Is my list missing any ? Leave it in the comments below ! 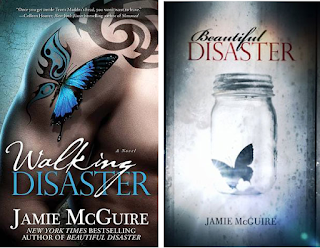 Jamie McGuire also has 3 more books in her Beautiful Disaster that are from her hero Travis' brother's perspective...Christian Grey has siblings right ? Calling it now. 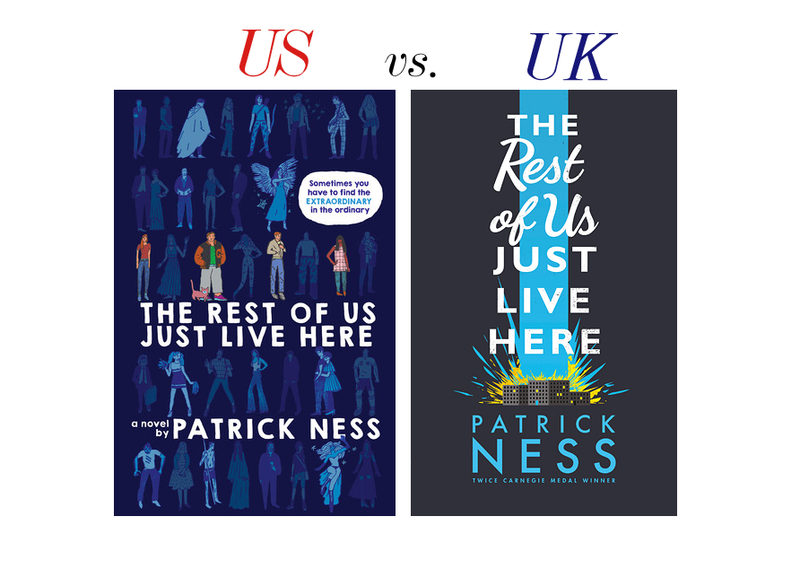 Patrick Ness' latest book is about average teens who live in a world filled with the typical trope-y YA heroes constantly causing disruption. In the last few months two very different covers for this novel were released which means I'm going to pitch them against each other. This was the first cover I saw for this book. Like the US one it has some illustration but it's much cleaner and relies more on typography. This cover seems to be selling Ness as an author more than the US, because the cover tells me nothing about the book. I think this is a tie for me, although I would much more likely buy the US version because.... rule of cool. 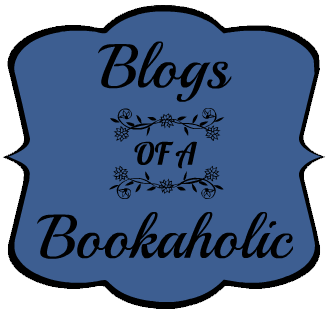 After attending BookCon last year and not getting what we wanted out of the show, Kat and I decided to return to Book Expo America. We took the train up and I started reading the break out YA novel The Ember In The Ashes by Sabaa Tahir and Kat started buffeting a horde of paranormal romances including Alyssa Cole and Cynthia Eden. The first time I went to the blogger's conference in 2012 I was really impressed. They had round tables with authors and sessions with editors. In the years since I've found the information interesting but not super dynamic. At this point I only go to this event to meet other bloggers. Kaye (AKA @GildedSpine) and Nicole from YA Interrobang had an interesting panel about the harassment we've all seen going down on social media and I think this would have been a good keynote or topic all bloggers need to hear. I did get some good advice at the Engaging Your Readers panel, where one panelist said to get readers to click you should "think about what you like" what makes you want to retweet and click ? I also learned about the micro e-newsletter site Tiny Letter. There was also this bit of awkwardness during the blogger networking celebration where they announced that there was a limited number of galleys for each blogger. Before they allowed people to come up to the table they had to bring out the men in suits to do. . . ARC security ? IDK they seemed to not know what to do and probably thought we were all crazy book people. I won't go into a day-to-day recap, but during the show Kat and I wanted to be very selective over what we chose to pick up.The enthusiasm for YA is still present. . . but I did notice a bit less on the YA front. It's still so hard to go up to publishers and ask questions because they are all so busy, but everyone was so gracious about directing me to the right person. I even did the thing I don't like doing and asked a Simon and Schuster publicist about getting a Zebulon Finch galley. A member of the editing staff at Sourcebooks Fire showed us some of their new titles. They have the best booth because they keep everything on display for you to see. Kat went to the notorious Harlequin teen signing and after an hour wait was able to get a signed copies of 4 Harlequin titles--including Nowhere But Here by Katie McGarry--which was one of her 15 Books We Can't Wait for in 2015. 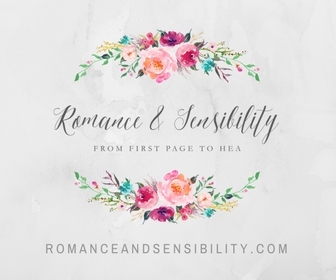 They were also great about helping us connect with the romance publicist for our new romance sister blog Romance and Sensibility. Lex Luthor Jesse Eisenberg ! ! ! ! Figuring this is something I can only do once, I decided to go to Jesse Eisenberg's signing. I won't lie I didn't know much about his book aside from the fact that it is a short story collection. 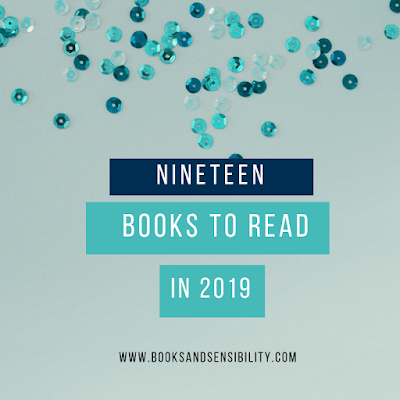 But this year I'm looking to read more literary material. Eisenberg narrates my favorite audiobooks. Which yes, I told him. It was funny, one of the women in line was turning red and close to tears of joy after meeting him. I also grabbed signed titles from I. W Gregorio and Lamar Giles, it was so awesome to see the crew from We Need Diverse Books with a long line of excited readers. Since I missed the YA Editor's Buzz Panel I went to the Meet the YA Buzz Authors. Everything, Everything seems to be getting the biggest push, it had 3 separate drops and tote bags. At the Harlequin Adult signing they ran out of books, which was fine with me but Jodi Thomas got up from behind the table, apologized for being out of books and introduced herself to those in line which I thought was super gracious. 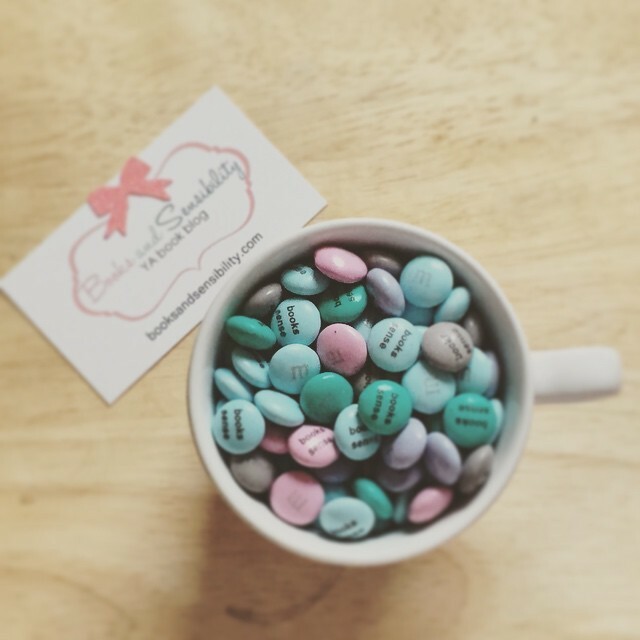 P.S I also stopped by M&M World and made blog-inspired M&Ms. Because. . . reasons. I met Angela from Angela's Library on the floor before BEA Bloggers. Thanks for introducing yourself ! Read This Eat That was the first person I saw with the nifty look Illumine ARC. In the line for coveted Alexndra Barcken Passenger I met Tiffany, an artist musician and writer check her out at ariestrash.com her site is so pretty ! Editor, Feliza and her crew over at Girls In Capes discuss women, men & minorities in geek culture. I met booktuber Tiffany from About To Read. I creeped up a little on Jess Martinez Gone With The Words at bag check, I remembered her name from an ARC swap Kat did. I feel like I''m forgetting someone, let me know !